Today is a very exciting post. 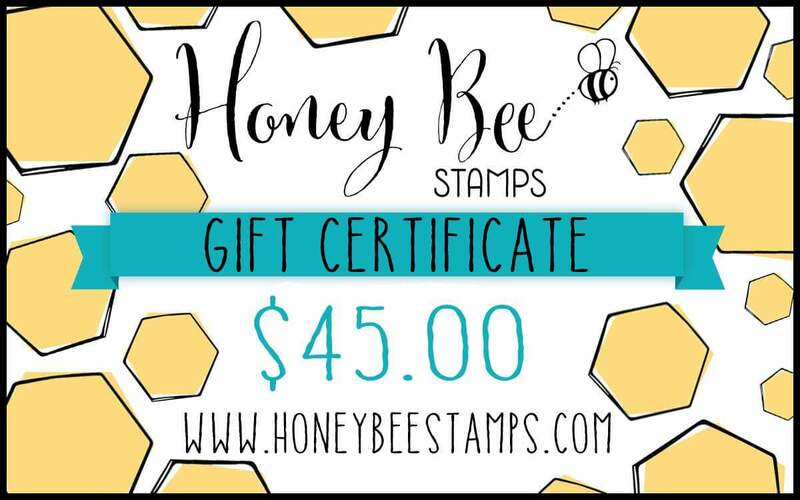 I get the wonderful opportunity to play with the Honey Bee stamps and you can get the chance to win some goodies! 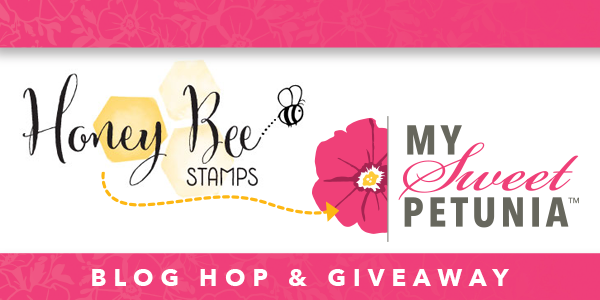 This is a fun collaboration between Honey Bee stamps and My Sweet Petunia. I had a great time playing with these stamps. They are nice quality and the designs work for any age or occasion. If you want to see how I put these two cards together, please check out my Youtube for more details. I love the rainbow look on this card. Such a beautiful effect and so easy to create. I must say the MISTI tool works wonderful for stamping layers. 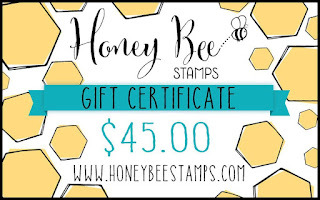 Win a gift certificate from Honey Bee stamps or a MISTI tool ( original or mini) . The winners will be announced on My Sweet Petunia ( the MISTI prize) and on Honey Bee Stamps ( the gift certificate prize) on April 7th. Check out the blogs below and leave a comment on all blogs . Hope you have a good day. Today's card is a very cute one. I love the MFT stamps so much and I enjoy spending time coloring the stamped images. They are super adorable! They will put a smile on your face for sure. You can create different scene, backgrounds , little stories , using their designs. I thought it would be fun to create this little farm and have a sheep flying over, like a happy one, because they can be a silly in real life. Be creative and have fun with your supplies and don't be afraid to try new things. Try a bit of coloring and you will see how relaxing this can be. If you like today's card, hope to ''see'' you again next time . Have a creative day and stay safe. I hope you are doing well. Today's card is pretty colorful. I love it ! I used a beautiful stamp from Whimsy Stamps called ''Floral Waves''. Have you seen the new release? The new designs are so beautiful! Sadly I don't have them yet, but our design team has some inspiration for you. Find more about over here. My favorite color combo for coloring must be : purple, green, mustard.They look really nice together. I hope you get inspired to create something today. If you like today's card and want to see more, please follow me on Instagram . Thank you for stopping by! Have a great day!